Includes a built-in brush and mirror. 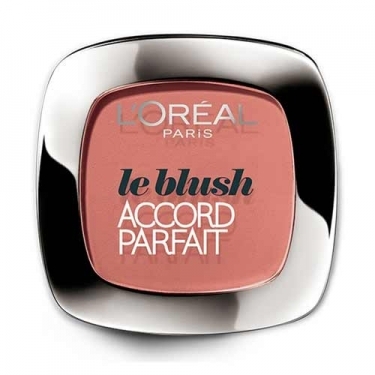 Accord Parfait Blush is a L' Oréal Paris blush to add a soft glow to your complexion and create a healthy appearance. This is the first line of customized blushes in pink , apricot and honey hues to perfectly suit the skin tone of each woman - warm, cool or neutral. 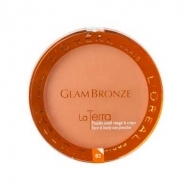 The creamy and modeling formula smoothes and brightens teh face. 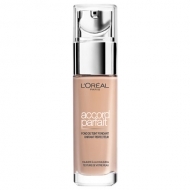 Gives a soft, natural finish and perfects face. Comes in a convenient compact size and easy to carry format with a built-in mirror and brush. Adapted to golden , pink and dark skin tones. Use a full soft brush and apply a thin layer. Avoid the artificial look and do not exaggerate. 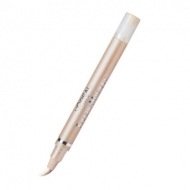 Brush along the cheekbone sweeping upward to ear line with fast lightweight strokes. Pink shades suits best fair skin tones and dusty-rose or brown shades match perfectly with dark skin tones.